Dry eye syndrome is a widespread occurrence today and appears most frequently in people over 50 years of age. It is essential to bear in mind that approximately 30% of ophthalmological consultations are due to dry eye syndrome. Many of the patients who present these discomforts and who are sometimes labeled as “allergic” are people with insufficient ocular lubrication, this confusion in diagnosis causes patients to often receive unnecessary and dangerous medications, such as topical corticosteroids. If you or a loved one is searching for a leading Michigan lasik eye surgery clinic, feel free to stop into the Yaldo Eye Center! The dry eye is defined as an alteration in the production of tears that irritates the ocular and palpebral surface. The tears are composed of three layers; the innermost is the mucosa produced by the goblet cells, the intermediate layer is the aqueous produced by the lacrimal glands, and the outer layer is the oil layer, created by the Meibomian glands. This last layer prevents the evaporation of the tear, maintaining the necessary humidity on the ocular surface. Also, the tear contains proteins, enzymes, and immunoglobulins, essential substances to prevent eye infections. Sjögren’s syndrome, both primary and secondary. Disease of Meibomian glands: alteration in the lipid layer of tears, as also occurs in psoriasis, rosacea, and seborrheic dermatitis. If you have a dry eye, you should visit an ophthalmologist immediately. 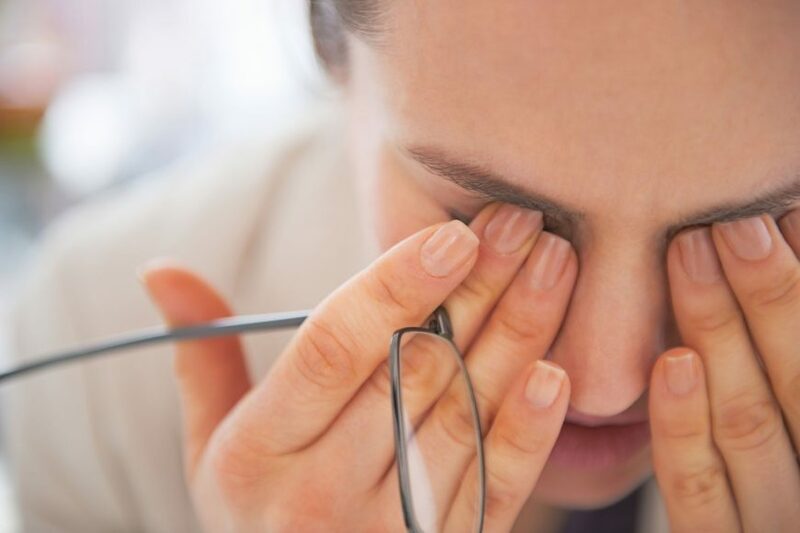 After knowing your symptoms, it is likely that your ophthalmologist will perform a series of tests to assess the number of tears in your eyes. For this test, your ophthalmologist will use a dye called fluorescein to visualize the tear film. 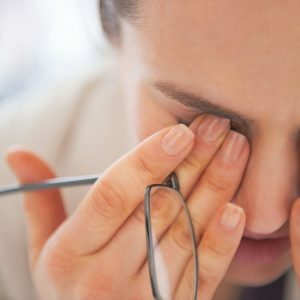 The treatment of dry eye is difficult and often frustrating since the causes that originate it in most cases do not have a satisfactory or specific treatment. For this reason, it is critical that the doctor clearly explains to the patient the nature of the disease and offers a series of alternatives so that the patient, depending on his discomfort, will choose the correct treatment at each moment of his illness. Artificial tears are isotonic solutions that contain electrolytes, lubricating and various agents and oily substances. In theory, the ideal artificial tears are those formulated without preservative agents, with a polymeric system that increases its time of permanence in the ocular surface and with electrolytes of potassium and bicarbonate, among others. Artificial tears should have a neutral or slightly alkaline ph. Also, the inclusion of omega-3 in its formulation has been shown to have beneficial effects. The use of gels and creams produces more lasting results than artificial tears, but they are associated with blurred vision symptoms. Retainer tear treatments, among which include the tear plugs, glasses with wetting cameras and contact lenses, have the function of increasing the permanence of the tear on the ocular surface. The lacrimal plugs are inserted into the lacrimal openings, usually in the lower eyelids, classified as absorbable and non-absorbable. The former is composed of collagen or other polymers and dissolve in a variable period of time (for example 3 days to 6 months), while the latter is permanent. The use of lacrimal plugs in patients with dry eyes has been associated with an improvement in the structure of the tear film, decreased osmolarity of the tear and increased density of goblet cells. Which contributes to a significant development of the symptoms. Currently, certain drugs, such as diquafosol, rebamipide, gefarnate, and ecabet sodium, are under investigation for their ability to stimulate tear secretion. Other cholinergic agonist drugs such as pilocarpine have been shown to be beneficial in the treatment of dry eye. It is recommended avoid those factors that may produce a decrease in the production of the tear film or increase its evaporation, such as the use of anticholinergic drugs (antihistamines and antidepressants) and the reduction of environmental humidity (dry environments, high altitudes and of air conditioning). If you are searching for a Michigan Lasik eye surgery clinic or Michigan eye surgery specialist, then look no further. The Yaldo Eye Center has over 20 years of experience and one of the best Lasik eye surgeons in Michigan Dr. Yaldo.